Sometimes, I just don't feel like cooking, usually it is on a Friday night. 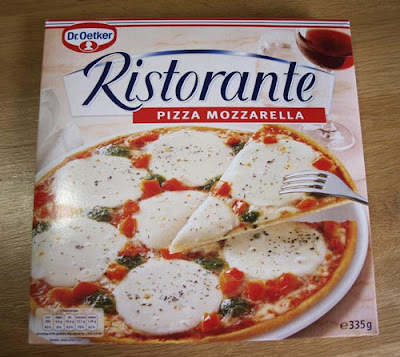 So I was delighted to be asked to review a Dr Oetker's Ristorante Pizza, I chose the Pizza Mozzarella, these were priced £2.78 at Tesco Online. 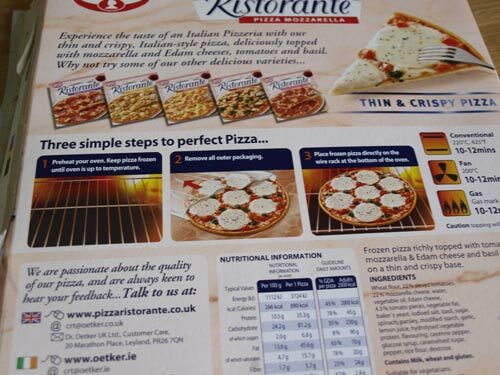 You put the pizza straight onto the oven tray so it cooks from below as well as above. 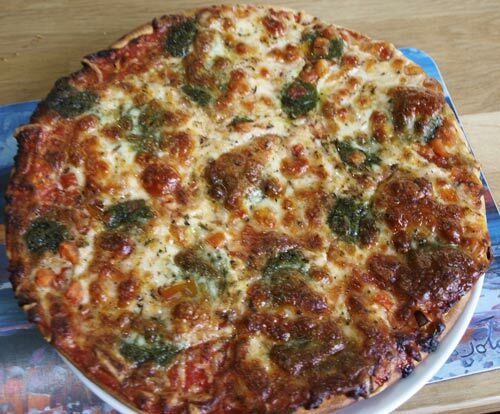 10 - 12 minutes in the oven and the pizza is ready straight from the freezer. We have eaten many ready-made pizzas, both chilled and frozen and I have to say that it was a really delicious pizza. 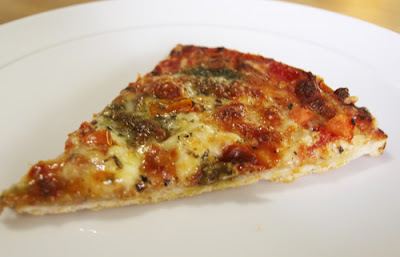 The crust was thin and crisp and the topping had real pesto and mozzarella on top and was well distributed across the pizza base. Disclosure Statement: I received this Dr Oetkers Pizza for review. I was not required to write a positive review. The opinions I have expressed are my own. The prices are correct at time of posting. EY! They promised to send me a voucher too! 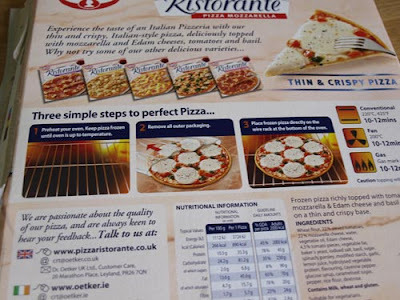 MUST get on to them......cos' I want pizza now Janice! NICE photos! it was really good, hubby was impressed.